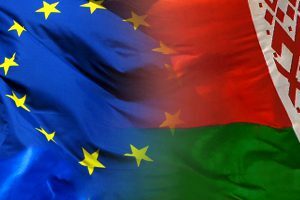 BelarusDigest > All > Opinion: Is the EU Resistant to Belarus’s Europeanisation? Since the start of the Ukrainian crisis, Belarus has experienced a decisive shift in policy. On the domestic front, there has been a strengthening of territorial defence forces, while internationally Minsk has shown willingness to reach out to a larger number of states as potential partners. The potash deal allegedly signed with China in June 2016 is evidence of this, as well as military cooperation projects already in place. An increased interest in relations with countries other than Russia in the post-Soviet space as well as the Middle East is also indicative of such a trend. Belarus's relationship with the so-called western world is a slightly different story. Relations between Belarus and the West, and the EU in particular, have always been fraught. They have traditionally developed in an irregular way, characterised by continued criticism of the current Belarusian political system and the enlargement of Brussels' structures of governance. Since 2013, bilateral relations have seen some positive developments. It seems that Belarus wants to be seen as a sort of eastern Switzerland, posturing itself as a quasi-neutral actor during the Minsk peace talks. At the same time, the dropping in February 2016 of EU sanctions in connection with the release of certain Belarusian political prisoners has given some breath to economic exchange and political dialogue. This seems to be indicative of a more general reset when it comes to relations with the West. As the Belarusian Institute of Strategic Studies has recently assessed, contacts with the EU and its member States have strengthened in both quality and intensity since the end of 2015 (see, for example, Lukashenka's visit to Rome last May). However, such trends should not be overestimated. The domestic political situation, as well as Belarus's strong ties with Russia, would be difficult to adjust. Although relations with Moscow, in particular, are undergoing a period of reassessment, the status quo is unlikely to change too quickly. Belarus is heavily dependent on Russia both in import (about 60 percent of the total) and export (around 35 percent), and regular military structures are strictly coordinated. On the other hand, Russia cannot lose Belarus, if for no other reason than its relevance to Russian security and as a transit country for energy resources. A further element impeding a substantial shift towards the West, often ignored in analyses of Belarus's international position, is the behaviour of the EU towards Minsk. Brussels, in fact, has shown neither willingness nor the means to decisively lead Belarus’ Europeanisation. The EU's paternalistic approach towards Belarus has been a primary factor in hindering positive bilateral developments. A cursory look at official documents issued by the Council of the EU or the European External Action Service's Fact Sheet on Belarus from February 2016 makes it clear that the EU's attitude towards Minsk is based on the assumption of the latter's lower moral status – a condition which Brussels intends to correct by means of pushing democratic standards and rule of law. This assumption is based on a political prejudice against Belarus which – even if it may be well founded – clashes with the principle of equality and non-discrimination voiced by Belarusian authorities. They insist on it as a necessary pre-condition for any meaningful relations. In addition to this cognitive relational dissonance, a further obstacle to Europeanisation seems to come from what may be called the EU's “cold interest” towards Belarus. Belarus's insignificant economic strength, its supposedly second-class political relevance, and an institutional frustration caused by a repeated failure to change the autocratic political composition of the country have all distanced Brussels and Minsk, chilling the liberal enthusiasm typical of the EU's foreign policy. These bilateral problems are compounded by other issues of a global nature negatively affecting the EU’s effectiveness. Internal security problems related to terrorism, nationalistic conflict between member states, and the renewal of turbulence in both the Eastern and Southern neighbourhoods have contributed to decidedly stagnant relations. This context means that there is neither much room for improvement, nor political willingness for relations to improve. This especially holds true if one recognises the understandable reluctance of the EU to further antagonise Moscow by making risky intimations toward Belarus. An overt rapprochement between the two sides could lead to an over-reaction from Russia. This is in fact not an unfounded fear, as certain events, such as the recent visit of highly placed US Defence officials to Minsk have been perceived by the Russian establishment as an outrage, further contributing to Russia's accumulating suspicions of Lukashenka’s regime. As Áleś Čajčyc has written for Belarus Digest, ever since the Ukrainian crisis, nationalist elements in Russia (both among elites and the general population) have, in fact, “accused Lukashenka’s regime of being tolerant of ‘Nazis’ and ‘Russophobes’”. In this context, even the dropping of sanctions fails to promote mutual trust and dialogue if something does not change in the quality of EU-Belarus discussions. In fact, the EU has often shown a preference towards members of the opposition and civil society who have little impact on the situation in Belarus as legitimate interlocutors. Meanwhile the government is pushed to the background. Even if this fits with EU political paradigms, it is ineffective. As emblematically represented by the case of the Dialogue on Modernization launched in 2012, this directly undermines the legitimacy of Belarusian authorities and the feasibility of the path they have chosen for their country. As it threatens the existing political structure, collaboration is rejected or obstructed by elites in Minsk. All in all, it seems that the EU's approach to Minsk is inappropriate. EU offers a model of cooperation founded on a teacher-student basis. It clearly states its willingness to de-legitimise the political status quo of Belarus. Acting without clear interest, Brussels fails to offer a valid alternative to Russia and does not suit Belarus’s renewed interest to diversify international partners. On the domestic front, this stubbornly persistent call for democratisation may be counter-productive to the state of human rights in the country. Unfortunately, such a process in Belarus could happen only as part of a top-down process. As a consequence, putting pressure on Minsk and engaging with civil society actors may generate hostility within the Belarusian establishment towards Europeanisation. Meanwhile, high-level dialogue and peer-level discussions may make the regime feel legitimised, less threatened and thus more secure, hence opening up possibilities for political change. Nicolò is a Contributor on Russia and the post-Soviet space for the Italian think tank Osservatorio di Politica Internazionale (OPI). He is an M.A. candidate in Interdisciplinary Research and Studies on Eastern Europe at the University of Bologna. On 11 August, the State Military Industrial Committee of Belarus announced that in the first half of this year its defence enterprises earned a net profit of $80m, thus over-fulfilling the assigned export plans by a quarter. Foreign media have recently reported that new Belarusian military equipment or equipment modernised in Belarus is being used by the Turkmenistani and Kazakhstani armies, Syrian government troops and Burmese air defence. In addition, the Belarusian government has finally started procuring arms for the country's armed forces. The national defence industry, which emerged in the 1990's as a helpless fragment of Soviet arms industries, evolved to become a significant branch of the Belarusian economy. This happened also because of the rise of the private sector and diversification of its markets and partners. The Belarusian defence industry began to pick up speed in the early 2010s. For instance, in 2011-2015 the Baranavichy-based 558th Aircraft Repairs Plant increased its production volumes by 5.5 times while its personnel grew by a quarter. How much arms Minsk actually exports remains a secret. Based on insider information, the Moscow-based Centre for Analysis of World Arms Trade reported that in 2004-2011 Belarus exported arms for $550m, i.e., $69m every year. However, these were hard times for Belarusian arms exporters as the old Soviet arms had already been sold and new products had yet to appear. The figures are now higher as the industry has started producing new items and a proliferation of local conflicts requires a growing amount of equipment. So far, Belarusian firms have been exporting arms with no proven violations of international norms, despite concluding risky deals. On 27 July, the Balkan Investigative Reporting Network and the Organized Crime and Corruption Reporting Project claimed that arms from Belarus, alongside other countries, were being sent to rebels supported by the West or associated with Western allies in Syria and Yemen. Belarusian transportation companies had been transporting arms to these rebels. However, by doing this Belarus has neither broken international legal norms nor challenged global powers. Investigators believe that everything probably took place with the CIA's knowledge. This increase in export resulted from the large-scale evolution of the national defence industry. First of all, the private sector has got larger. In January, Belarusian President Lukashenka praised a privately-owned defence company, Minotor-Servis, for its efficiency, describing it as a paragon for the entire economy. Following that, the Belarusian media outlet TUT.by published an analysis of private defence firms indicating that Minotor-Servis was not an exceptional case. It listed ten more private defence companies which have succeeded in finding a profitable niche. On 7 August Tetraedr declared that it signed an agreement with the Electronics Corporation of India Limited. 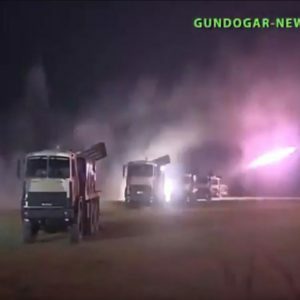 The two companies revealed only that they intend to cooperate in manufacturing and delivery of “high-technology defence equipment.” Given their profiles, they are probably attempting to undertake maintenance, modernisation or manufacturing of air defence- and electronic warfare-related systems owned by the Indian military. The implications of the private sector's rise in this area are immense. First, the defence industry can provide a model for development of private firms in other branches of the economy. Secondly, throughout the world the defence industry has frequently become a driver for technological innovation in other areas, leading to the manufacture of high-technology civil-use items. Thirdly, even though the Belarusian defence industry is disproportionately entangled with the Russian military industrial complex, Belarusian private firms working in the defence industry boast more diversified international partners. For example, for many years the main customer of privately-owned Tetraedr was Azerbaijan; the firm also worked actively with Kazakhstan. In addition, while earlier Belarusian defence firms were most likely to do business with former Soviet allies and relied on older Soviet-era ties for their exports, the situation is now different. For example, over the past three years Belarus has been developing relations with Pakistan in the defence sphere thanks largely to the help and mediation of China and/or conservative Arab regimes. Last December, The French daily Le Monde reported another case in which Belarusian arms firms were doing business with international arms traders outside the former Soviet network. According to French journalists, a French-Israeli businessman named Steve Bokhobza had been acting as an agent for the Belarusian defence firm Beltechexport for at least three years. Steve Bokhobza reportedly has good connections with French and African politics and business communities as well as the Israeli security establishment. Bokhobza, according to Le Monde, facilitated deals between the Belarusian firm and its affiliates in the Central African Republic, Equatorial Guinea and most likely other countries. This is new for the Belarusian defence industry, which in 1991 was still a highly export-driven branch. Initially, Belarusians exported equipment inherited from the Soviet era and modernised Soviet arms. The capacities of national defence industries subsequently evolved. By the early 2010's the government announced that 90 per cent of exported arms constitute Belarusian-made products. The Belarusian military, however, has deployed few of them. In January 2013, Lukashenka admitted that more than 70 per cent of products manufactured by national defence industries were going abroad, and such major firms as Peleng, MZKT and Tetraedr were exporting almost all their production. Back then, in 2013, he demanded from government officials in charge of the defence industry to create arms for export and mentioned supplying the national army almost as an afterthought. Now, Lukashenka insists on providing weapons for the national army. Addressing graduates of military colleges on 5 July, Lukashenka exclaimed, “Any country that takes its own security seriously should produce its principal weapons with its own hands.” The Belarusian leader cited the recently established production of lightly-armoured vehicles and missiles production as examples of the approach. In sum, despite many contradictions, the Belarusian defence industry is far from stagnation, unlike many other branches of the Belarusian economy (such as machine building). It brings a stable income from exports and develops finished products. These products, including anti-tank rockets, optics, electronics, and missiles, have not only found a market abroad, they have also contributed to national military capacities. Moreover, the development of this branch can set an example for other industries, especially with regard to the incremental development of the private sector and diversification of international ties.